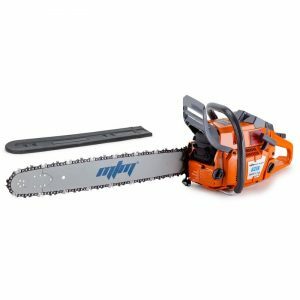 The MTM 82SX Chainsaw is the ultimate wood cutting companion. 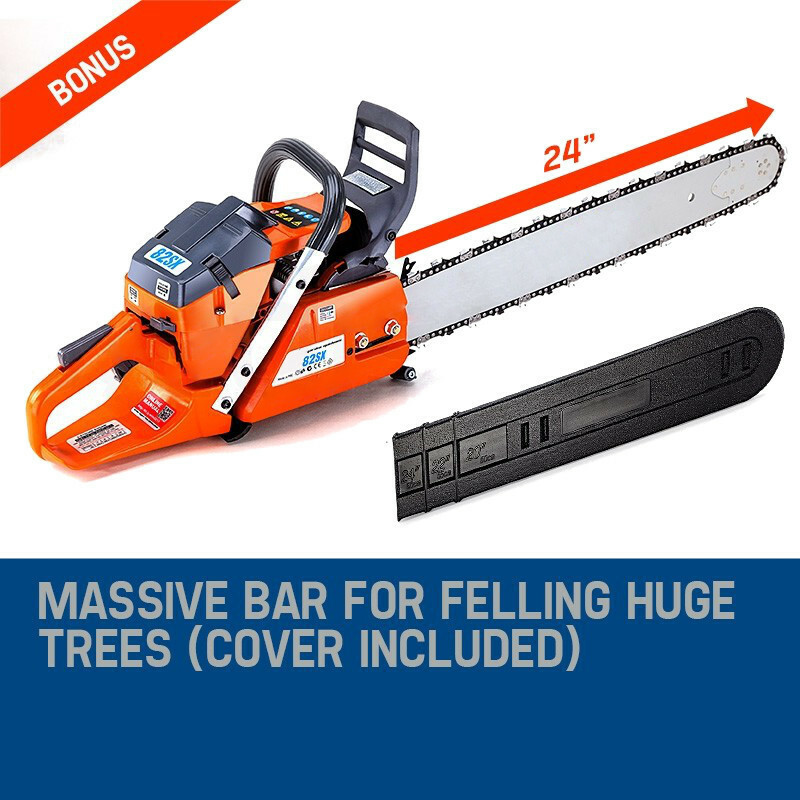 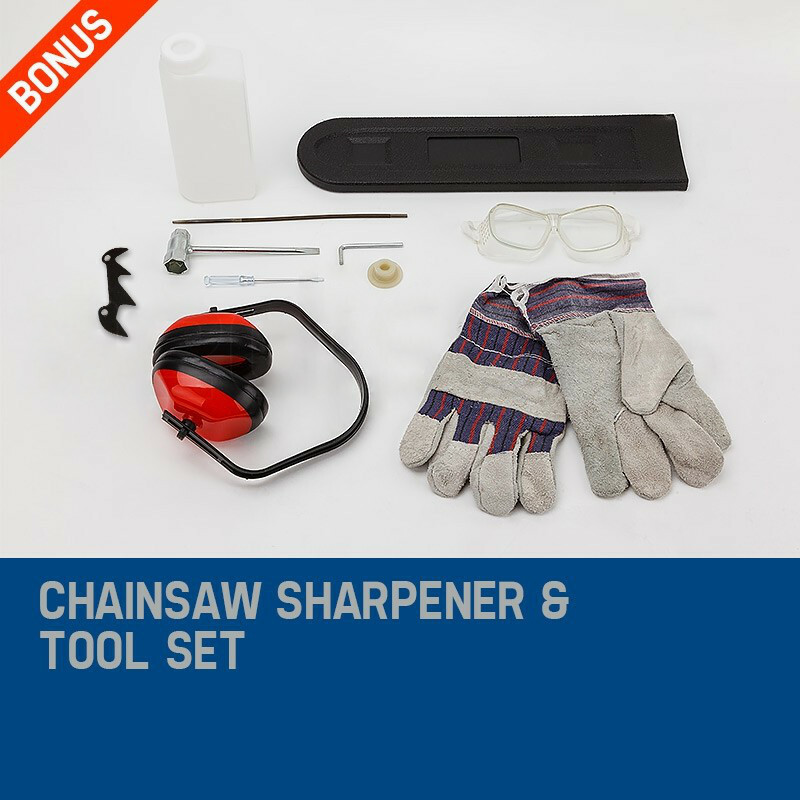 Whether you're pruning hedges, cutting firewood or taking down whole trees. 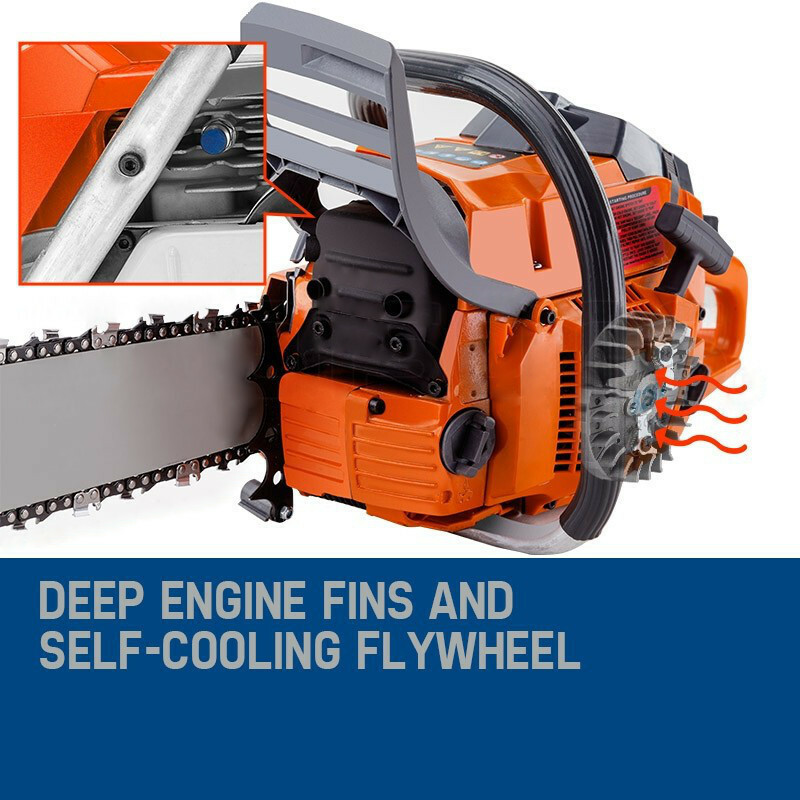 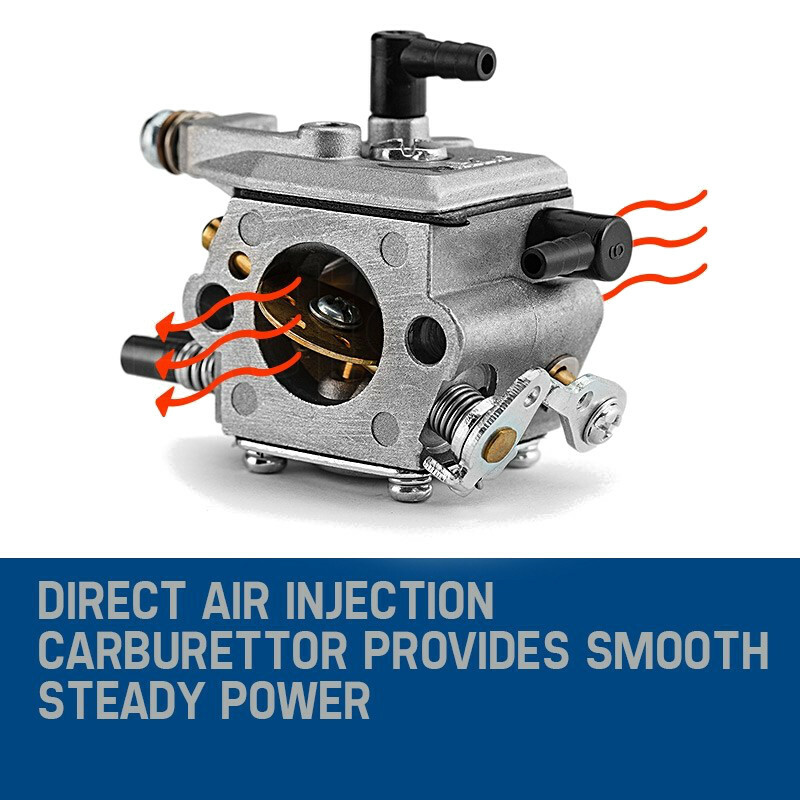 With the massive grunt of a patented air injection carburetor combining with unparalleled levels of quality, this is the perfect choice for those who demand serious commercial grade performance. 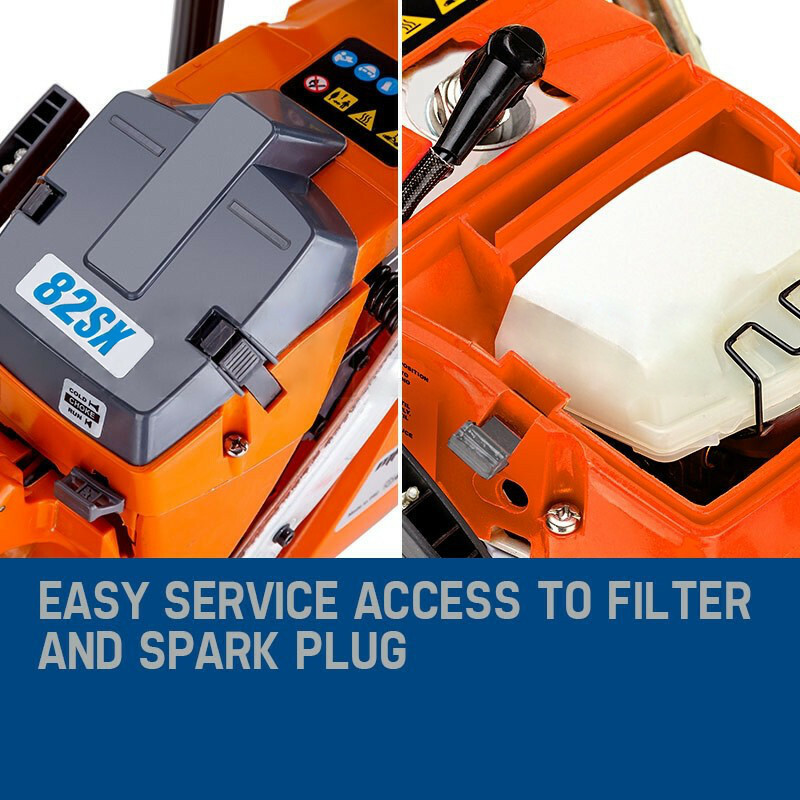 The premium air filter has increased surface area to maximize performance at all times. 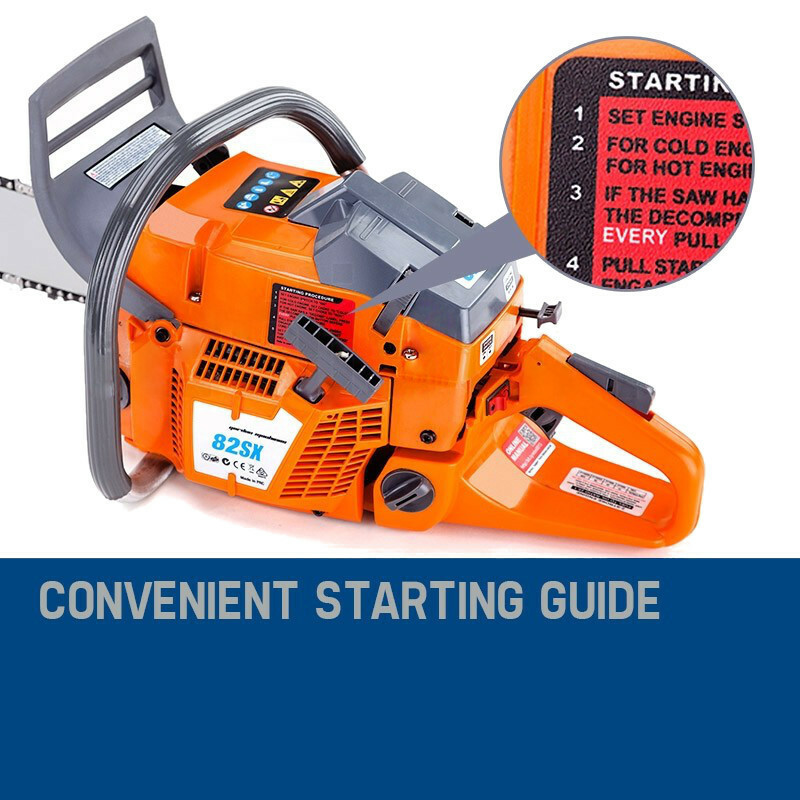 Getting started is a cinch too. 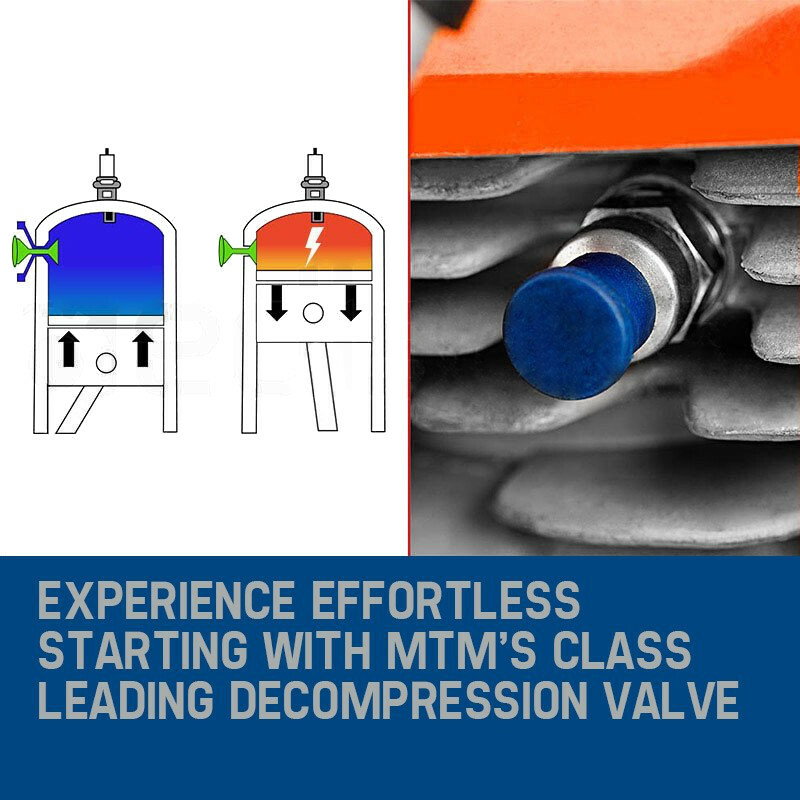 Used with the decompression valve, the new 'Easy Start System' means anyone can fire up this beast with minimum effort. 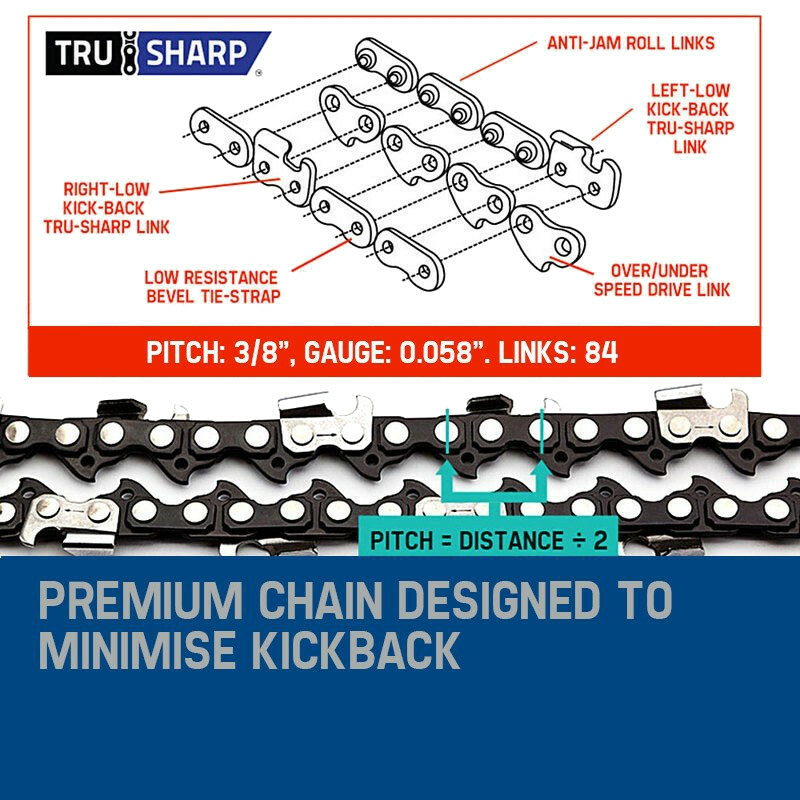 This ingenious system works by pairing two opposing memory retaining spring coils. 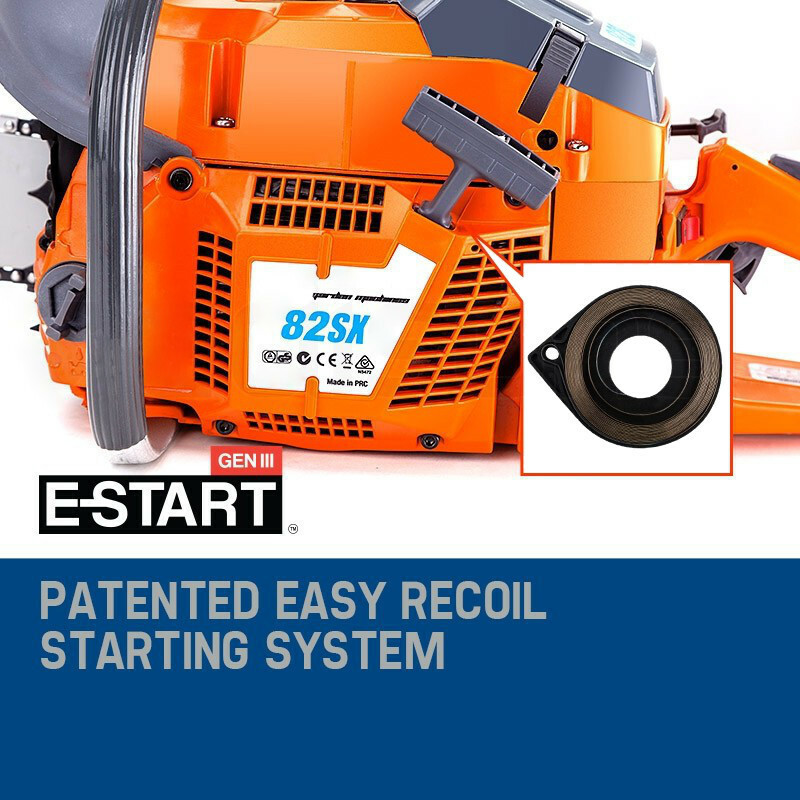 As you pull the starter cord a second coil builds energy and releases that energy all at once for optimal starting. 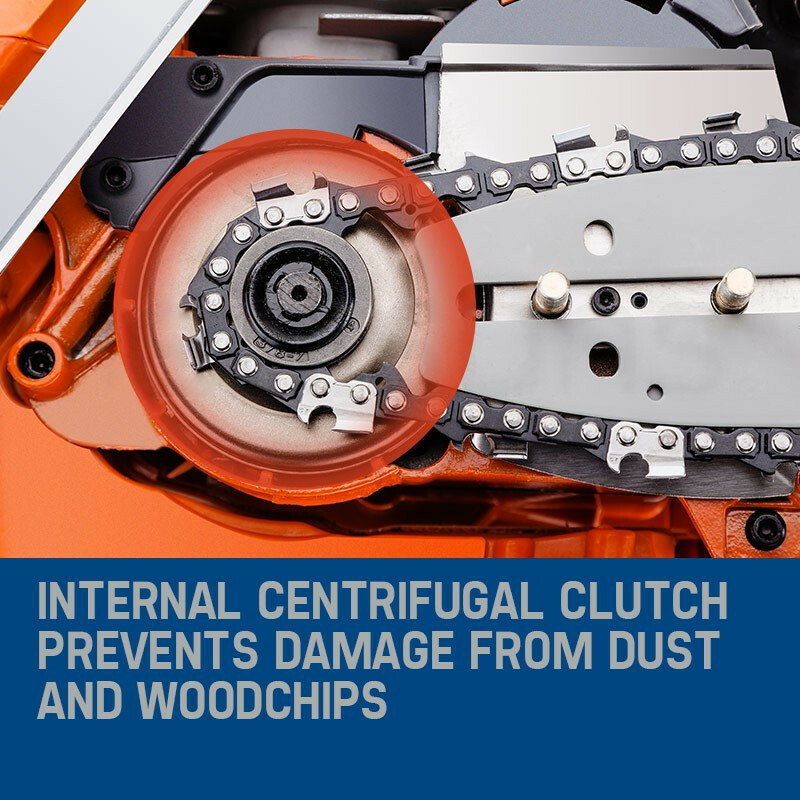 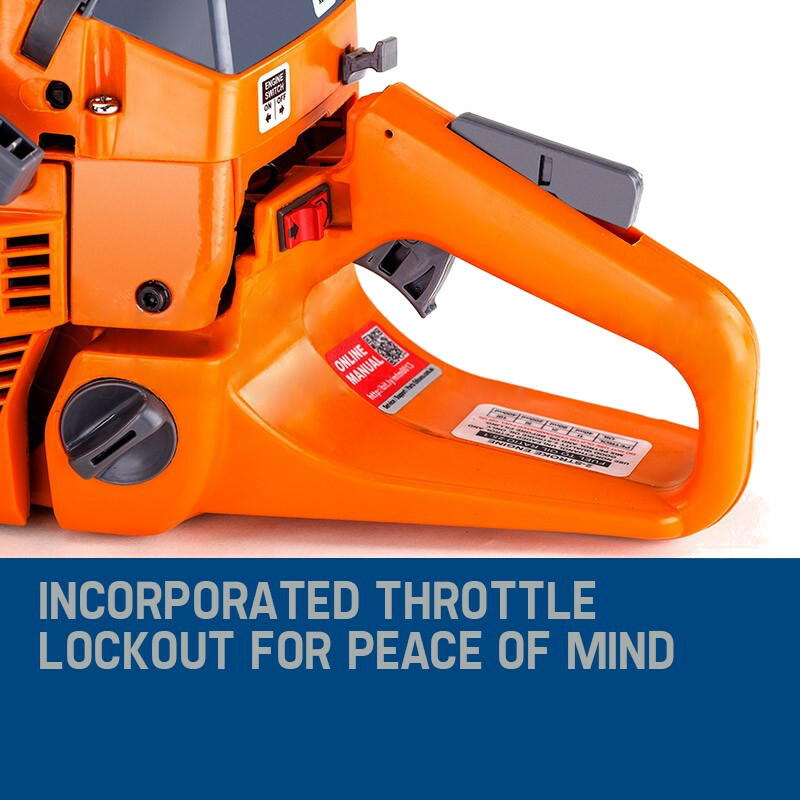 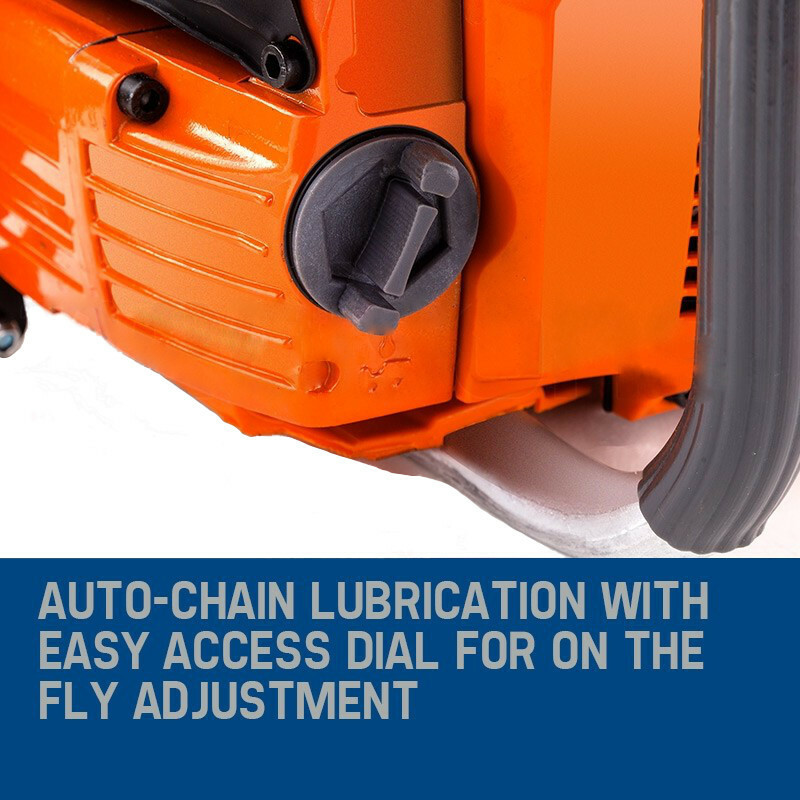 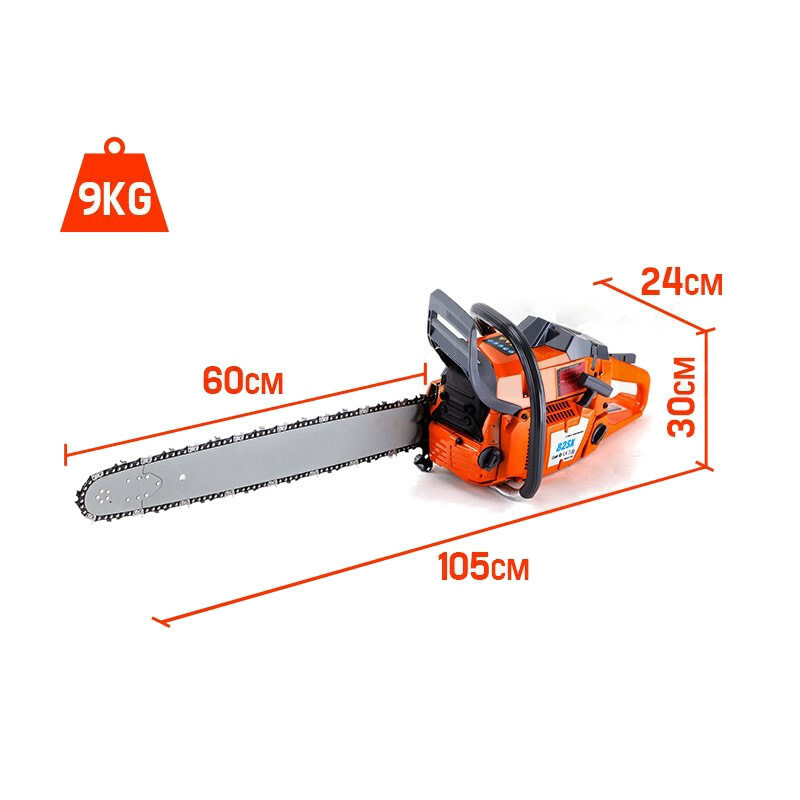 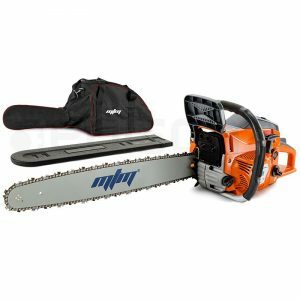 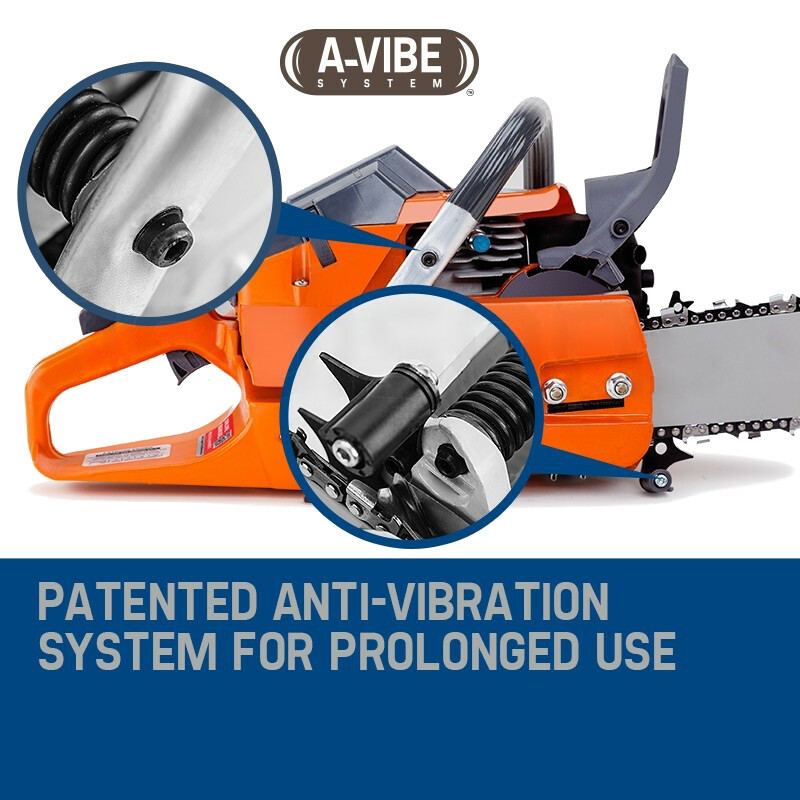 With an MTM Chainsaw you are guaranteed a great list of convenient features including comfortable ergonomic grab bar, 360 degree cutting capability, superior foiled oil feed, premium saw chain and lightning fast safety brake offering total peace of mind. 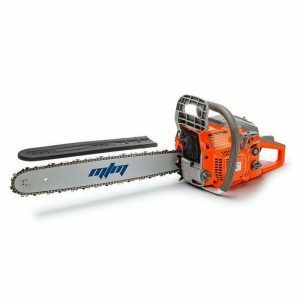 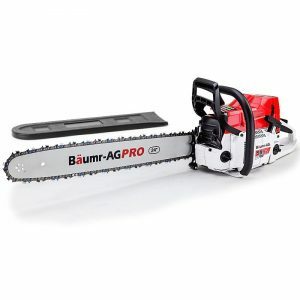 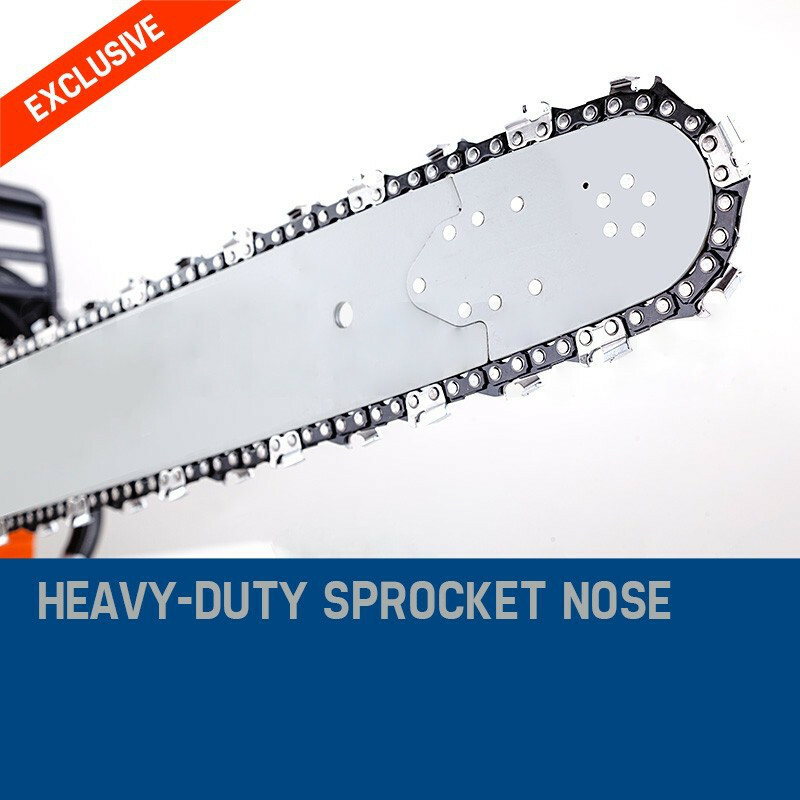 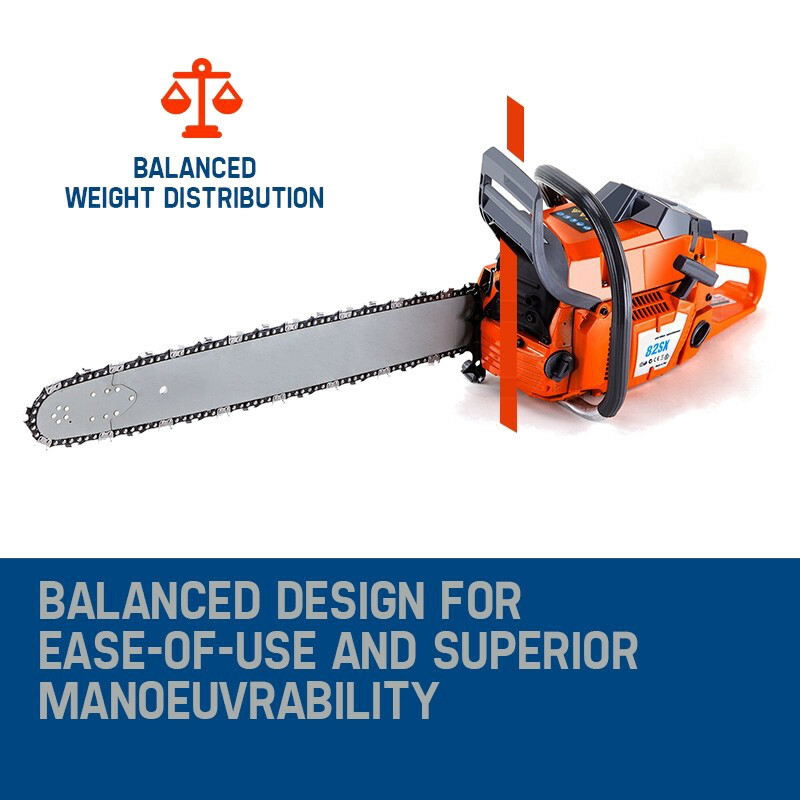 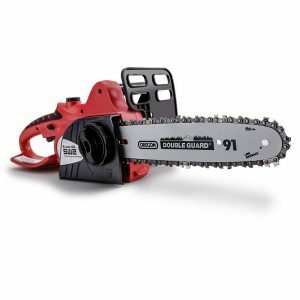 MTM chainsaws really are the number one choice for power and reliability.